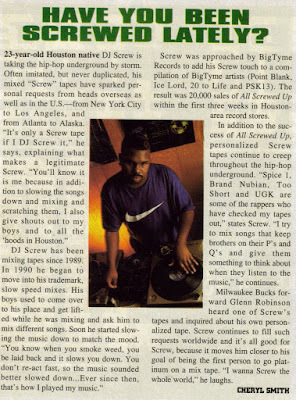 In '97 i moved from El Paso to a hr away from Houston. About a couple weeks or so living down there i met a friend of my cousin. One day we all ridin in his car and he was jammin Scarface's Untouchable LP. But the one thing i noticed immediately was why in the world does it sound all slowed down? Its ur tape deck broke? WTF? He told me its screwed down. I was like what? 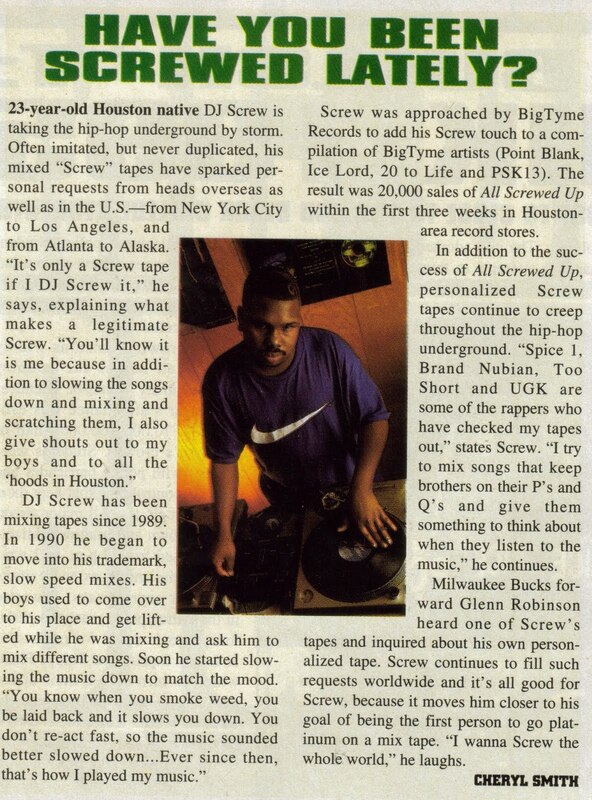 I hated screw music for almost a year after living down there and i was catching a lot of flack. But in late '98 and early '99, i learned to appreciate it and now loving it. I will always have a NY State of Mind but i cant forget about my city. So read the article above and find out more about a man who gave TX its own signature sound. Holla at me if u wanna hear one if his tapes and ill post one up! Please Please PLEASE post some of screws work. This legend needs to be heard. Love the blog. Amazing to see the differences in how times have changed in the industry. Keep up the great work.